Many of the pioneer trails are in danger of extinction. The California marker is on the Hastings Trail in Skull Valley. Utah’s geologic features that dictated the trails for early Native Americans, explorers, trappers and emigrants, influence the placement of roads, pipelines, and transmission lines in our day. This mix creates challenges. The Crossroads Chapter has been fortunate over the years to have an abundance of members willing to be active in aspects of trail preservation, as well as trail scholars and archeologists. We have tracked intruding power lines along the Old Spanish Trail, as well as proposed thermal plants on the Pony Express Trail, and expanded fly-over zones from the Hill Field Test Range F-35’s need more turn around space. At one point there was concern about trail access under that air space. We were very active in quelling a threat from a proposed pot-ash plant near the Hastings Trail in our West Desert. In doing this, would be numerous letter-writing campaigns and meetings with land owners, county, state, and federal agencies, and elected officials at all levels. The more recent trail intruder is a solar farm that will be on top of both the Hastings Trail and the Lincoln Highway tracks as both routes round the end of the Stansbury Mountains into Skull Valley—west of Salt Lake City. Our members have been involved in on-site and other relevant meetings. However, there will be no negotiations on this plan. The same legislation that selected random parcels of state land which were assigned as school trust lands, also mandated that if someone offered market price for the land, it must be sold. The company has recognized the existing historical factor and volunteered to make a 30-foot buffer from any construction. We will continue to be vigilant! This is an important part of our trail stewardship. Discover more about National endeavors below. Information update from octa-trails.org. The U.S. Bureau of Land Management (BLM) released its Record of Decision (ROD) for the Boardman to Hemingway Transmission Line Project (B2H) on Nov. 17, 2017. The ROD allows BLM to grant right-of-way to Idaho Power for the construction, operation, and maintenance of the B2H Project on BLM-administered land. The approved route is the Agency Preferred Alternative identified in the Final Environmental Impact Statement (EIS) and Proposed Land-use Plan Amendments, which was published on November 28, 2016. The most important element of this publication, is that it starts the clock ticking for the three partners to come to several agreements. We may not know for some time, but the first action is for partners to pay their costs for permitting to Idaho Power. Idaho Power has 60 days to submit a bill to PacifiCorp and Bonneville Power, those two have 20 days to tell Idaho Power they will pay and then must pay by 60 days. So, by the end of January we should know if all three continue with the project. Those who continue have two negotiation periods of 180 days to two years to finalize Development and Construction Agreements. If you read the Funding Agreement either PacifiCorp or BPA can withdraw at any time for any reason. The BLM Record of Decision also confirms the Agency Preferred Route which is the same as it was in the Final EIS in November 2016. The BLM and Forest Service dictate the route on their public lands, but do not control private property! That is where Idaho Power has stated they do not plan on following the Agency Preferred Route on some of the private lands. The decision on private land route rest with the Oregon Department of Energy’s Energy Facilities Siting Council (EFSC). Likely a two-year process! This may close the chapter for the BLM other than working with them on significant mitigation. Idaho Power has proposed only “Interpretive Signs” and publications for mitigation. Obviously, we will fight this ridiculously inappropriate offer. OCTA now moves on to the Oregon Public Utilities Commission and the Energy Facilities Siting Council and supports the StopB2H Coalition. For the time being, we are trying to stop the power line completely in dealing with these Oregon State agencies. Maybe not, but certainly worth a try. We will do our best to keep all OCTA members informed as to our progress, and we will no doubt reach out for your support from time to time. The proposed 300-mile Boardman to Hemingway power line project across Eastern Oregon, from the Columbia River to west of Boise, Idaho has just been approved by the Bureau of Land Management. INDEPENDENCE, Mo. – (Business Wire) – The proposed 300-mile Boardman to Hemingway power line project across Eastern Oregon, from the Columbia River to west of Boise, Idaho has just been approved by the Bureau of Land Management (BLM). The BLM’s Record of Decision is an “absolute disaster” for the Oregon Trail and a slap in the face to all those emigrants and their ancestors, according to Pat Traffas, President of the Oregon-California Trails Association (OCTA). “Thousands of emigrants took the trail west to Oregon between 1843 and 1863 – by wagon train, on horseback or on foot. These emigrants founded the territory that became the state of Oregon as we know it today,” according to Traffas. For about 260 of its proposed 305-mile route, the project parallels the trail and crosses it as many as 8 times. Construction of a parade of towers up to 195 feet tall, which can be seen for miles, would desecrate not only the remains of the trail itself but compromise the views essential to the experience of the historic legacy, according to Traffas. 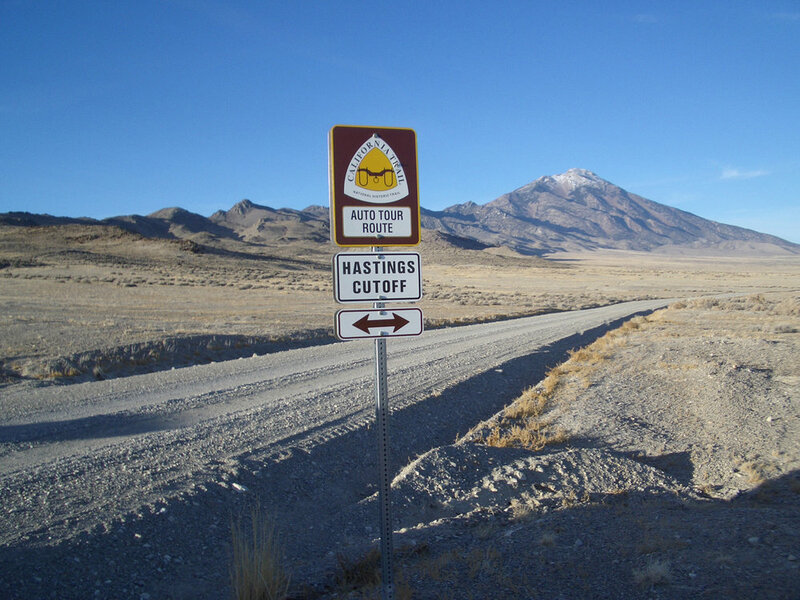 The BLM has just authorized Idaho Power to dig up the landscape and our history for a 250-foot wide clear-cut gouge, as the route of the power line. Visual damage to the Baker City Oregon Trail Interpretive Center and BLM’s own Area of Critical Environmental Concern at Birch Creek near Farewell Bend is obvious, but the 400 miles of new roads needed for construction certainly will impact trail swales on the ground. The project is headed by Idaho Power Company, with PacifiCorp and Bonneville Power paying most of the permitting costs. Construction has not yet been agreed to by either of the other parties. Idaho Power does not need any new resources until 2029, according to their own data. This 1.2-Billion-dollar project could well be obsolete before it is build. Ratepayers in Oregon and Idaho will surely see major increases in their electric bills. We are fighting the project in the Oregon Public Utilities Commission. We think that the President of Idaho Power should hear from all of us. The Oregon-California Trails Association, headquartered in Independence, MO. Is the nation’s leading advocate for protection of westward emigration routes during the mid-19th Century. The Northwest Chapter is leading our effort to stop the project.